This very interesting gospel is for me a reminder that Lent is about beginning again. Have you ever had a Lent that has sputtered along? Lots of starts and stops? Lots of let’s give this a try or that didn’t work giving that up? Or what should I do or will this deepen my journey? Well I’m having one of those Lents. I’ve always struggled with my Lenten actions (except for the year I gave up chocolate everything) and this year is no different. I have realized this year that with my schedule the way that it is my Lenten commitments to fasting, prayer and almsgiving must be simple. Which is the message I gave during my retreat presentations a few weeks back. It was this parable that helped me make sense of it all, was the reminder I needed and to embrace the weeks of Lent that are left and my Lenten promises I have made. The idea of “let it alone for one more year… dig around it… and add manure” are great images for our Lenten journey. Each day of Lent is like that “one more year” a new day with new opportunity to make good on Lenten promises or to begin again with the ones that are sputtering along. Each day of Lent can produce growth that will blossom into Easter fruit. I am again encouraged that in the digging, adding of good manure and taking care of the fig tree of my life is not an alone activity. This parable also reminds me to be patient. There is a lot going on right now and in that I can easily lose focus. I am reminded of the goodness of the gardener who cares for the fig tree and all his crops and asks for the time to work with the plant. Growth is a test of patience and endurance and the results are beautiful (like a flower bursting open) and overwhelmingly delicious (like a good fig). I am reminded that being patient in the little Lenten promises and even the starting again in this midpoint of Lent is encouraging the growth the gardener is seeking. 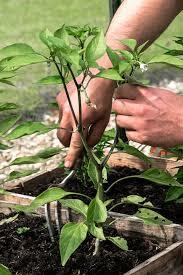 The gardener is an image of God “who will not give up on those who struggle with turning toward him… we are all “prized possession” (New Collegeville Bible Commentary – Gospel According to Luke – Patella) we are still called to growth and to root ourselves in God’s goodness. As mentioned above not an alone activity at all rather God at work in our lives (of course). So, like the fig tree you and I desire nurturing and nourishment. We desire the digging around that God must do so we may grow and flourish and let go of the harshness and dead layers of winter. We desire the good manure to be worked into the earth in which we live and take root so that we can be strengthened and rise from the dung we like to pile on ourselves. Lent is a time to see that God desires nothing more than for us to encounter how much God is present in our growth and how much God desires us to be “well and good.” As we move towards the mid-point of Lent may we once again commit ourselves to our Lenten promises and know that God is digging around and making available many nutrients for growth in the Lenten days remaining. and then blossom forth with your love in our daily living.